In 2016, actuaries shed light on complex debates from housing wealth to retiree living standards, and the increasing use of personalised data in insurance. Public policy recommendations by the Actuaries Institute continued to draw endorsements from leading policymakers. Here, Deputy CEO and Head of Public Policy, Elayne Grace reflects on the important work of the Institute in 2016, and discusses plans for 2017. The Actuaries Institute provides expert commentary on public policy issues to better inform policy debates and increase awareness of the profession. Guided by public interest and the principles of transparency, fairness and good regulation, the Institute aims to shed light on financially sustainable policy options that also provide positive consumer outcomes. In 2016, the Institute’s public policy research and analysis focused on the longevity challenges facing Australia’s ageing population. 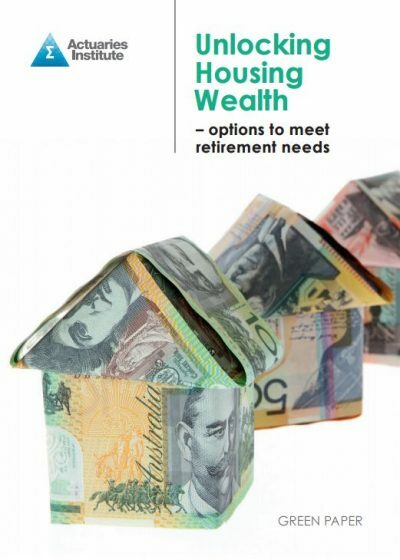 Our Green Paper ‘Unlocking housing wealth – options to meet retirement needs’ explored how the family home could help mitigate longevity risk and improve retiree living standards. This paper was developed by a working group chaired by PwC actuary, Catherine Nance. 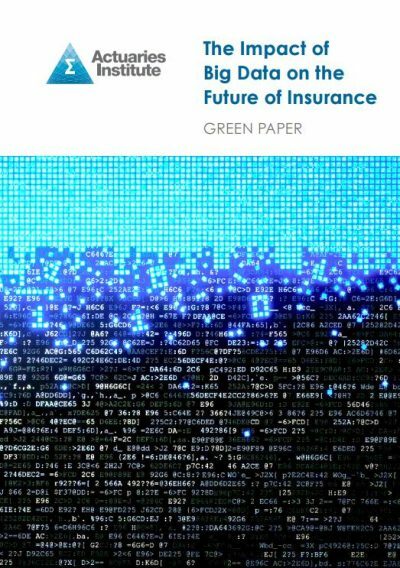 We also released a Green Paper ‘The Impact of Big Data on the Future of Insurance’ in 2016 which found that greater risk transparency through personalised data profiling can facilitate better consumer behaviour, but that government will need to tackle issues such as privacy, and unaffordable premiums for high risk or ‘uninsurable’ individuals. This paper, launched in November, received significant media coverage and was also promoted through our See What We See advertising campaign. In June, APRA released an important discussion paper on the role of the Appointed Actuary and actuarial advice within insurers. Working across practice areas, this presented a great opportunity for our profession to consider how this vital role could be improved to ensure better prudential and strategic outcomes. In Superannuation, we continued to push our concerns on product dashboards disclosure. We organised industry stakeholders to consider the development of a long term risk metric; a move welcomed by the Productivity Commission. Special thanks here must go to Andrew Boal who has given nine years of public policy insight as Superannuation Practice Committee (SPC) Convenor. Andrew stepped down from this position in January 2017 but will continue to work with the SPC. 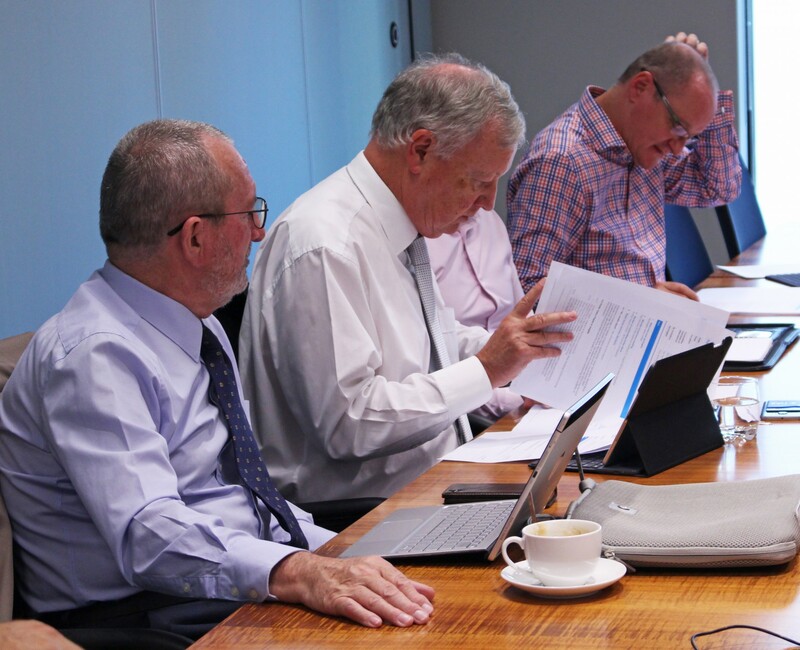 In General Insurance we wrote submissions and attended roundtables on CTP scheme review and National Injury Scheme in Queensland. In life insurance we wrote on the risks and opportunities of robo advice. As always, the Institute had significant engagement with Treasury, the regulators and the government, providing our pre-budget suggestions as well as feedback on the major superannuation proposals in the 2016 Federal Budget. We held four very successful media roundtables in Sydney, Melbourne and Canberra, building the Institute’s relationships with senior trade press journalists. We engaged with Senator Katy Gallagher, Wayne Byres, Geoff Summerhayes, Helen Rowell, Kevin Davis, David Murray and Graeme Samuel. In line with our Strategic Plan, we ran an Insights Session to encourage and empower members to improve their influence and speak out on areas of public interest. The Climate Change Working Group also presented its paper ‘Climate Risk Management for Financial Institutions’ at the General Insurance Seminar. The Public Policy Council Committee is made up of members from a cross range of actuarial practice. Each member brings a unique perspective to the committees’ discussions of current and emerging policy issues and how these may be helped by actuarial analysis. PPCC discuss which policy issues should be our areas of focus and reviews all new policy positions to ensure they are balanced, accurate and in the public interest. Two major areas of focus for the PPCC this year are mental health and life insurance products. In 2017, the Institute will release a series of short thought leadership papers. These will present key insights into specific policy challenges such as genetics, climate change, private health insurance affordability and data analytics. Following previous collaborations with the UK and US actuarial organisations, we will also be publishing a comparison of retirement adequacy across the three countries. We will continue to have a strong engagement program with our key external stakeholders. I would like to thank all our members in Practice Committees, the PPCC and others who have been involved in developing public policy and thought leadership for the Actuaries Institute.